Oh, I don’t talk about luck, or wealth or that some people are born with more than others. I am talking about the things that matters. The only thing that matters. 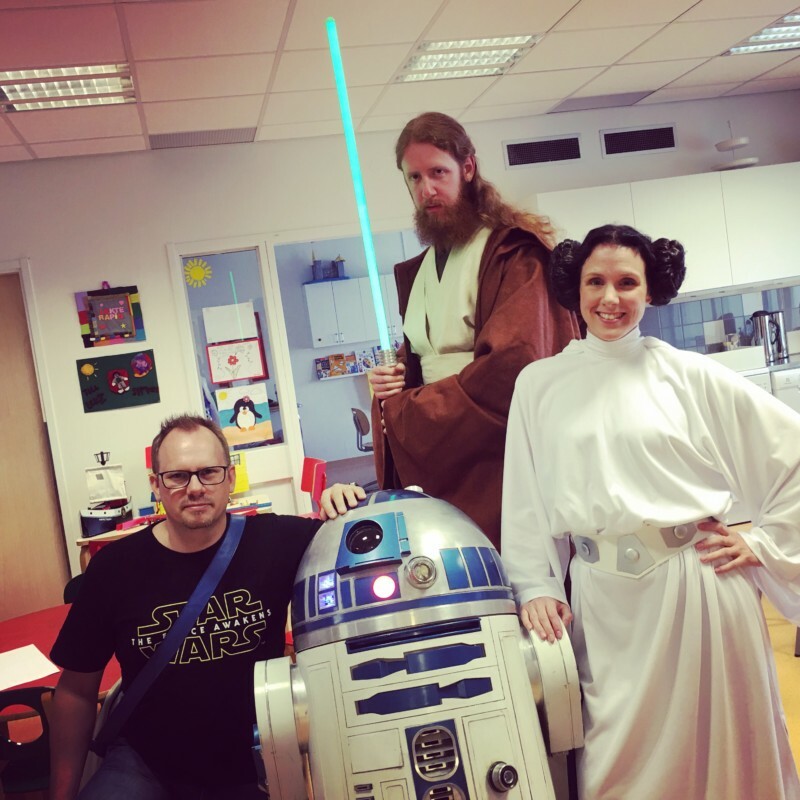 Yesterday, together with a couple of friends from #501st and #rebellegion, me and #r2d2 visited a Childrens cancer ward in a hospital in Uppsala. My good friend (and worldwide award-winning close-up magician) Johan Ståhl had previously visited this hostpital with some magician friends to do something special for the kids. He noted that whatever magic he did, this one kid was not very impressed. He kept talking about Star Wars. He responded, where as the kid almost jumped out of bed informing him that Anakin Skywalker, he was taller than Johan, since Anakin is 188 cm long! Johan realized something had to be done. I know Johan since many years and we have another mutual friend who is also heavily involved in the Star Wars costuming charity organization: 501st Legion. A meetup was quickly arranged at the hospital to surprise this little one kid, the one who loved Star Wars more than anything. Yesterday was that day. A group of us met up, R2 was prepared, the others got into costume, and the door was opened to his room. From outside the door, R2 bleeted happily and rolled inside. We heard a large gasp from the inside and a small voice who yelled out “R2-D2!”. Inside we all went, and spent half an hour being heavily bombarded with both questions and facts about Star Wars buy this wonderful little five year old, who was so happy. There was nothing to reveal his horrible illness, apart from the hoses and machines he was constantly hooked up to and his head where almost all his hair had fallen off. After giving him a diploma, awarded for extraordinary bravery, we visited the rest of the kids at this cancer ward. Sure. they liked R2, they thought it was fun and interesting, but their combined interest was still nothing on this one kid. The one we were summoned to visit. So much joy, so much life, so much happiness in this kid, who for a moment almost forgot all about his illness and was allowed to be just a kid. Just a kid who got to meet some of his heroes, and all of us were really smiling, while at the same time crying on the inside. I hardly remember the drive home from the hospital. It is all like in a dream state, a state I am still in, where my mind cannot comprehend how life can be so unfair. That some kids will not have a childhood where they are allowed to just be kids, but battle very serious issues. Just thinking about the fact that statistically speaking, all those kids we met yesterday will not reach adulthood is unfathomable. Thinking about it is like building a bubble around your head where nothing makes sense. Why? Why these kids? I hugged my 3 year old daughter extra long when I got home in the evening, and when she was going to bed, she looked at me and asked me if I could tell the story about the fox… an improvised fairy tale I made up on the fly when she had a hard time sleeping a long while ago. I got into her bedroom, sat down, and told her the story about the fox, and didn’t stop until she was deep asleep. I listened to hear soft breathing for a few seconds before I left her room and thanked my lucky star that it wasn’t her in that ward. I wouldn’t know what to do if it was. My entire reality would just be destroyed. I admire the strength of those parents who are in this situation and have to be strong for the sake of their kids, for the sake of having some sort of life at all. Can’t we all just agree that kids should be allowed to be kids, and cancer is something extremely vile and nasty, and cancer should be abolished. Especially cancer in kids. It must be particulary horrible for the parents who are going through hell every single day that their children are sick. Living in uncertainty. Hoping. Wishing. Begging.. that their kid will not be part of the statistics. That their kids will get through this. I hope they do. Every single one. People sometime ask me how I can stand doing these things. I do them because I have to. Not by force, but by something inside that tells me that I have to. 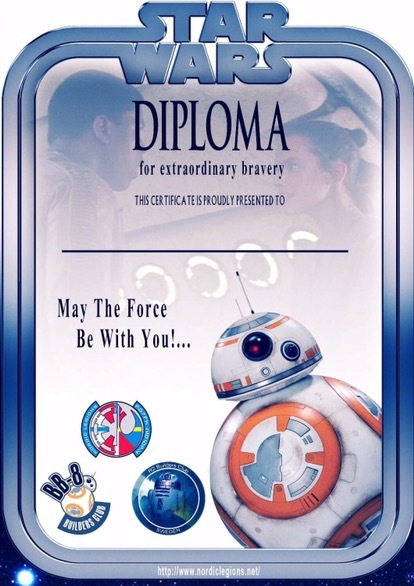 I have something (my R2-D2) that kids love, that will magically transport kids from their harsh reality to a magical place in a galaxy far far away where they play that they are beloved characters in a movie. I can only do so much. I wish I could do more.